August was another busy month, I managed a few finishes and a lot of blocks! 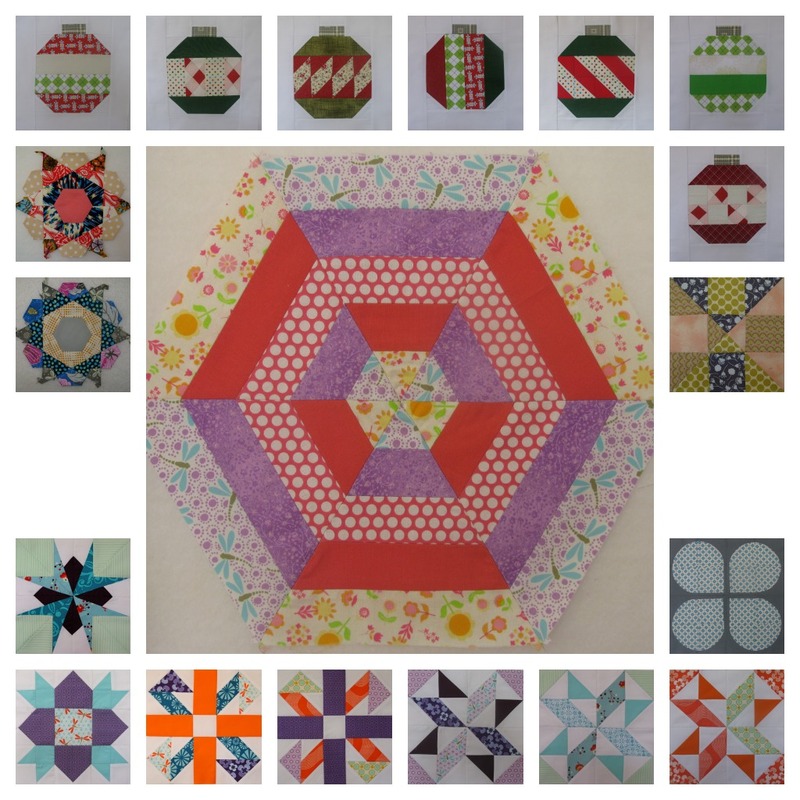 Blocks for the Vintage Holiday QAL, Blogger's BOM, Retro Flowers QAL, How Far Will You Go?QAL, Rose Stars, and in the centre is a block for Sana in the Scrappy? Sew Bee it! 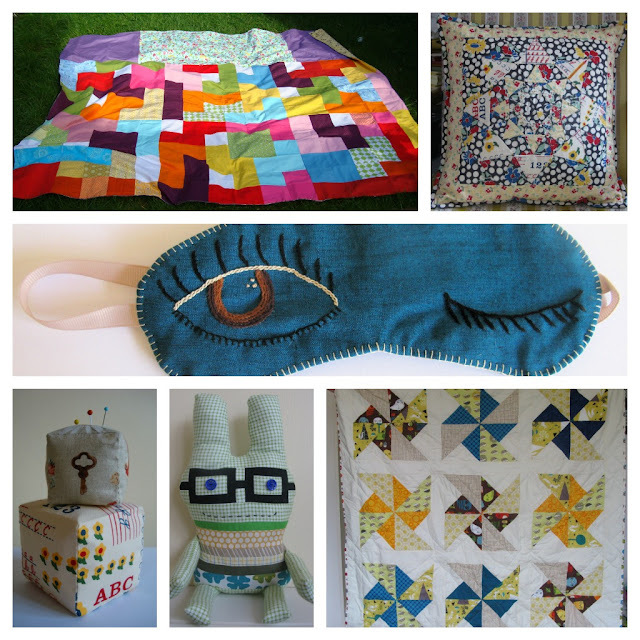 The highlights of the month for me were definitely meeting up with Nat, Nicky, Susan and other bloggy friends at the Festival of Quilts and much hilarity ensued from my post about threading with Aurifil! I was able to introduce my fabulous sponsor Fresh Squeezed Fabrics and they are offering a brilliant giveaway here too! Wonder what next month will bring? Love all the purple and orange - my favourite colours. A fabulous 'end-of-the-month' post! You make us mere mortals look slack! Meeting up with you was a highlight too. But you are right - the threading post was the best bit totally!! Meeting you again Lucy was brilliant! I knew you had done loads but you are the star of the month I think! Another great month for you Lucy. 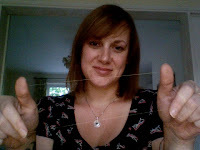 Still giggling about the threading post! You had a fab month- all looks gorgeous! great projects! I'm glad ! found your blog last month! My goodness, you got a lot done Lucy! Love the colors in your Tetris quilt. OMG I laugh thinking about the Aurifil thing everytime! Dying! Lucy, I want an eyemask. Did you wing it or did you have a pattern? Oh you did have a brilliant month! That really is a huge amount of work, well done! What a productive month...! I need to stop reading these Fresh Sewing Day posts - they're too depressing! ;-) I love that cushion you made especially.. I love seeing all your projects together, and especially all those blocks -- beautiful! YOu did some great things this month, but my favourite is that eye mask :oD Maybe I need to make one for the plane trip to SS! You had a busy month, lots of fun fabulous things !! The aurifil post was hilarious, still giggling about that one! What an awesome month for you!